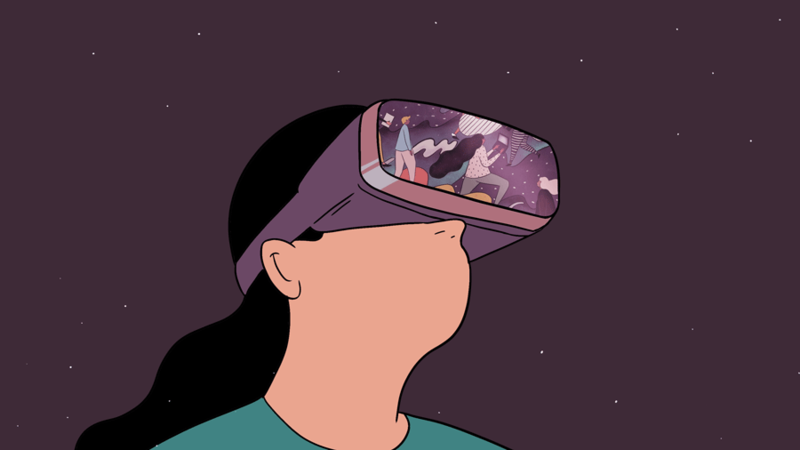 At Crunchbase News we cover the intersection of money and tech, and oftentimes that intersection is filled with societal nuances and frustrations. Alaina Percival, co-founder and CEO of the non-profit Women Who Code, works to address those frustrations by assisting women in STEM and by convincing companies to invest in us. You’ll find that though she works to help others, she struggles to ask for help. And though her passion for her intended impact is limitless, hours in the day are numbered. Her grit and “can do” attitude about life in general shone through in our interview for this installment of Proust Goes Tech. Hopefully some sort of for profit company with another mission that I’m passionate about. I’m a huge fan of the FinTech space. So maybe I’d be involved in that– I get really excited about FinTech startups. It’s a personal interest of mine; when I come across them I usually read about them and test them out. I wish I had 48 hours in the day. I think that I find it very hard to give up on things. One of the things that I think is my biggest challenge in working with Women Who Code is staying focused on our mission when there are so many other things related to it that I am also able to get really passionate about. For example, someone might email us saying “Hey I’m looking for a tutor for my eleven year old daughter.” I think that’s amazing it’s such a worthy thing to spend time on helping someone do, but it’s not what we do. So it kind of rips my heart out a little bit too. To say no. Someone might say “I want to build an app for the hearing impaired, can you help me?” It’s just not what we do, but I think it’s super valuable and so not being able to do everything is hard. I’m going to enjoy it the most if it provokes some of emotion. Whether that’s humor or feeling something in the message. I’m a pretty happy person and can find a lot of contentment in whatever I decide to do. Misery I guess is like having to stop to manage social interactions versus working toward the mission. In a large volunteer organization, if one volunteer stops enjoying working with another volunteer we have to stop to deal with it. To me I find that draining. I don’t know if misery is the right word for it, but it zaps my energy. They inspire me to be better. When they are passionate or excel in something in some way, they inspire me to be better. Maybe grit. I stick through it, and I keep going. I don’t give up. I wish that I was a really amazing software engineer. Women Don’t Ask. It’s about women needing to ask for promotions or more money. I think a lot of it is that I live this every day. When I read books like that it puts research behind the things that I’m experiencing and doing on a daily basis, and it validates the work I’m doing and helps me to continue pushing forward. I would say that I never read the comments. Beyond reading the comments of articles and stuff. I think that paying attention to the marketplace is very important, but people and the internet can be harsh. That can stop you or make you lose confidence in what you’re doing. I try not to pay attention to or even get exposed to that negativity because it takes so much energy and passion to run a non profit. It’s hard for me to ask for help when I need it, or show weakness. That’s something that’s really uncomfortable for me. And I think that when someone does show weakness or ask for help, it gives you an entire picture of that person. Everyone has weaknesses and a need for help, but for me it’s just difficult to share those things until I have a solution in place. I want to see far more women as leaders in this world. I want to look back thirty years from now and feel much like I feel when I look at my mothers generation. She graduated from college and was expected to become a teacher, or a nurse, or a secretary. Right now in my work I’m trying to see more women as CEOs, and Vice Presidents, founders, and investors. I want to look back in thirty years and feel as different to be in the world that we’re in as it is to think about the fact that when a woman applied to college in the past she only had three career paths to choose from. Definitely having enough women in leadership positions. And it’s not just important for gender equality reasons. Tech is outpacing the engineers that are in the marketplace. Women aren’t a minority so by engaging women in the tech industry–that low hanging fruit– they can alleviate a market problem. Also leaders at tech companies have a fiscal responsibility to have diverse teams with women in the leadership because diverse teams are smarter. When women are involved at the executive level companies perform better. That’s true for startups and that’s true for Fortune 100 companies. Right now there’s a lot of talk around this, but companies need to actually be putting their money on the table to solve these problems. If a woman leaves their company, that’s hundreds of thousands of dollars of needing to find someone new and get them onboarded and trained up to the level of the person who left. If women leave the industry, that’s a much much greater loss financially. I think there’s a market need and there’s a fiscal responsibility there. The industry as a whole will just be a lot better as more women enter, succeed, and lead.